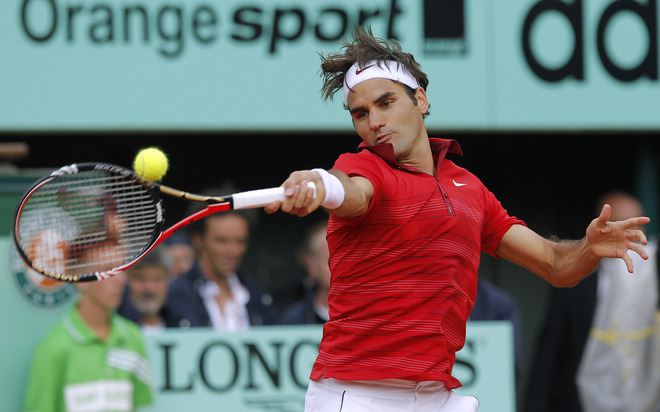 Ladies and gentlemen, Roger Federer is a favorite to snap Novak Djokovic’s streak. If there’s anyone on tour who can, it’s Roger. He’s thru to the semifinals of Roland Garros with another straight sets victory, this time over Frenchman and home crowd favorite, Gael Monfils. 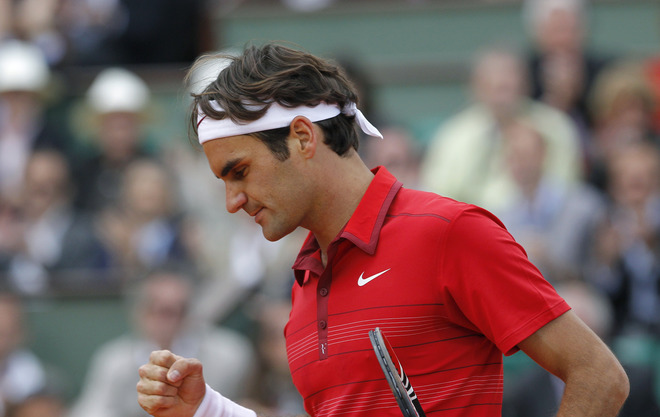 Federer picked up the 6-4 6-3 7-6 (3) victory in about two and a half hours and is into another grand slam semifinal. Correct me if I’m wrong but I think this is the 26th grand slam semifinal in his last 28 slam appearances. On Friday, it will be Federer vs Djokovic and all the spotlight is on Novak with his amazing win streak in 2011 but Federer may have something up his sleeve. He has not dropped a set thus far playing in the toughest draw of the top seeds and against quality opponents in best of 5 matches (Lopez, Tipsarevic, Wawrinka, Monfils).